Some times bloggers face problems due to the blog hackers. They may capture blog. 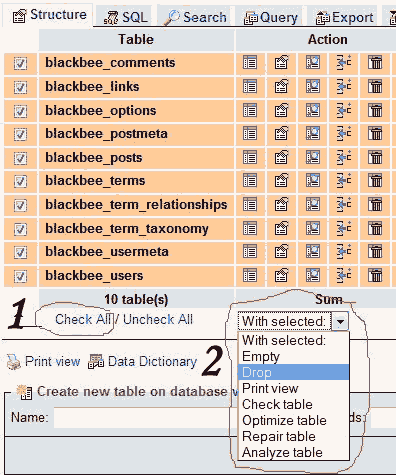 What if you lose all of your database? 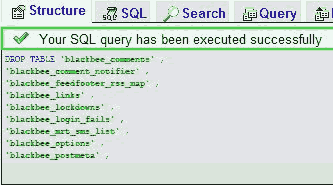 Now you can restore your database easily by the following method. 1. 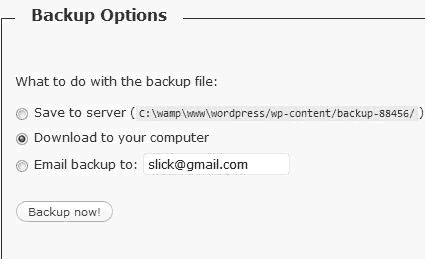 There is a plugin named WordPress Database Backup. Download it and install it. 2. Go to the tools in the menu and select Backup from the list. 3. Some options will appear on the screen select "download to your computer from the options". Then click on backup. After completing the backup the system will ask you the location where the backup is to be saved. You should make a schedule of making a backup because you never know what will happen at what time. 1. 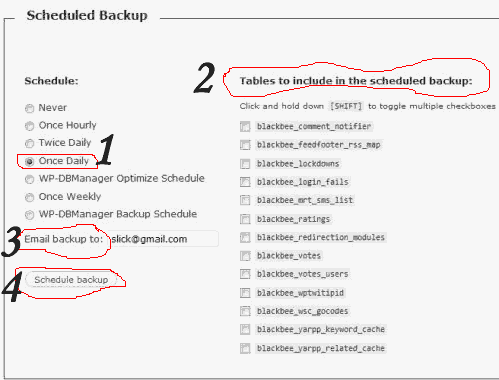 Go to the backup page and go down and select daily option and then select the tables that you think are very important and should be included in the backup. 2. For the conformation purpose check if the backup is done the next day. If your blog gets hacked you will have to restore the backup made earlier. Use the following method to restore the backup. 1. Go to your FTP account and then delete all the things in /wp-content/cache directory. 2. 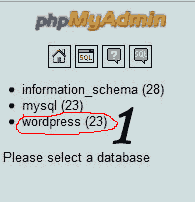 Now go to PHP MyAdmin and select the wordpress database you are using. You should know its name otherwise you cannot restore. 3. Now a list of the tables that were in the database will appear on the screen. Click on select all. Now click on the drop option. This will delete all of them. 4. You will be asked if you are sure. 5. Click on the Yes button to conform. This result will be shown on the screen. 6. Now the database is empty so you can now restore your backup easily. 7. Click on the import button. 8. Now browse the backup and select go after that. 9. Wait until the uploading is done. 10. A message will appear on the screen to conform the success of the backup.